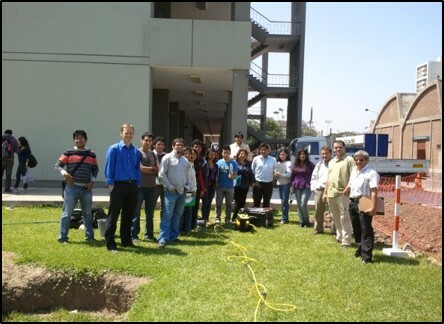 In April 2013, in partnership with SensorVital and Pontificia Universidad Católica del Perú, AGI conducted a workshop focused on exploring the resistivity of shallow soil at Pontificia Universidad Católica del Perú. The purpose of this exploration was to use 2D imaging and a soil resistivity meter to demonstrate how AGI’s tools make it simple and fast to see a 2D slice of what’s happening below ground. In this case, we were training students and professional clients on how the instruments can show the differences in areas of dry native soil versus irrigated grass (as well as other features in the area surveyed). 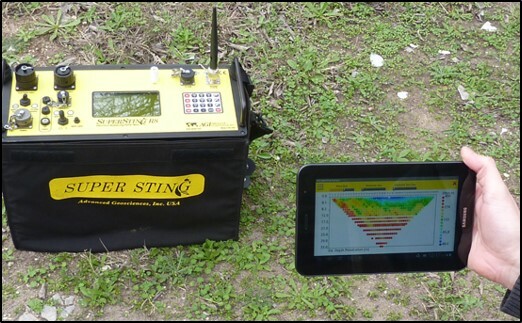 We used SuperSting™ R8 Wi-Fi with 28 electrodes spaced one meter apart on a passive electrode imaging cable to measure the resistance of the soil using the dipole-dipole and inverse Schlumberger array. 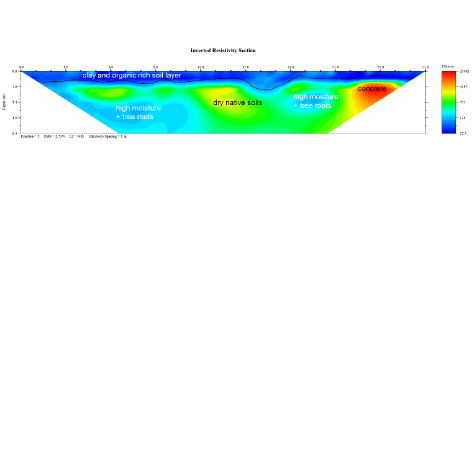 The results were modeled using EarthImager™ 2D. Our earth resistivity meter successfully estimated the thickness of a soil layer that was added to retain moisture and allow grass to grow. We also identified the location of a concrete foundation as well as the extent that roots had grown outward from several trees. Speed of data acquisition: The workshop highlights the system’s capability—not only is it important to be able to move around easily, it’s important to be able to gather data quickly. This particular exploration took only an hour from setup to data interpretation. Specially designed tools: These rugged instruments are meant for all types of work. 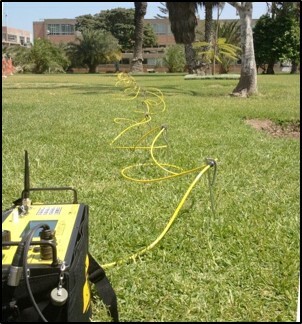 This is an easy way to do resistivity imaging with a small amount of electrodes (which is affordable and efficient). It’s an ideal choice for soil exploration for biologists interested in soil properties and engineers interested in earth properties, groundwater exploration, and more.